Gain info on your audience. 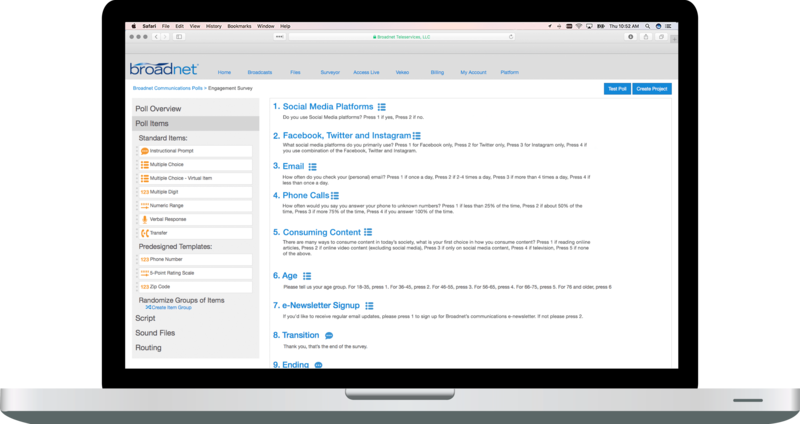 Surveyor® is an ideal way to connect with and gather data from your audience. With sophisticated features and reporting that helps you visualize responses, Surveyor is a comprehensive solution for your polling needs. Affordably receive feedback from your audience with our phone polling platform. Surveyor<sup>®</sup> is an ideal way to connect with and gather data from your audience. With sophisticated features and reporting that helps you visualize responses, Surveyor is a comprehensive solution for your polling needs. Affordably receive feedback from your audience with our phone polling platform. The platform for your poll. The survey they will take. The real-time report and insights. Four steps to a successful phone poll. Decide what you want to learn from your audience, then easily build your poll in an easy drag and drop editor. Choose from a variety of ways to capture data from your audience, plus add in variation or routing to eliminate ordering bias and move participants based on a particular answer. Manage the details of your poll by using demographic values in your data to reduce the number of questions asked to your audience, plus, set quotas with our enhanced systems. Create frames (groups of records to dial) that can reduce cost and be used to determine dialing order. Dial your list, who will be prompted to answer your questions. 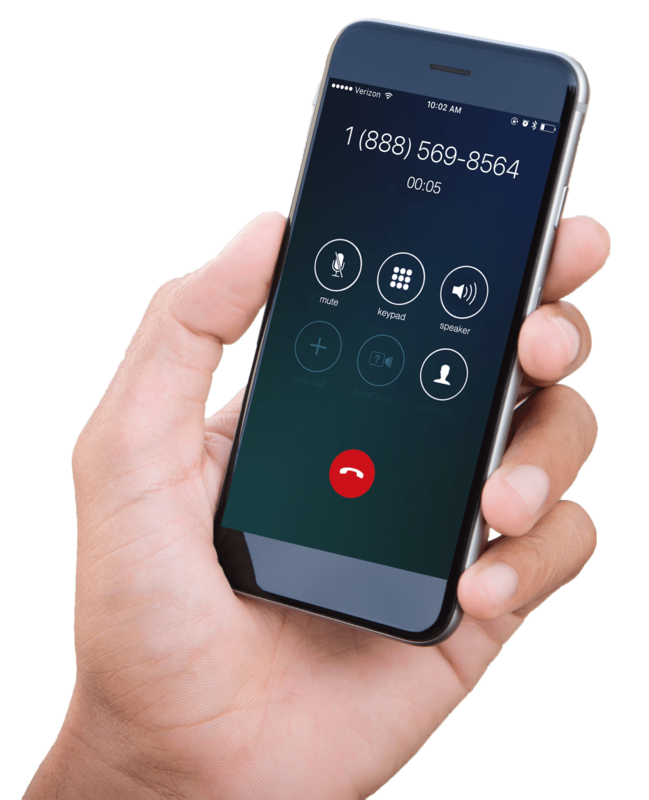 Leave them a voicemail message and/or publish a toll-free phone number to allow those who missed the call or other audience members to partake in the poll. 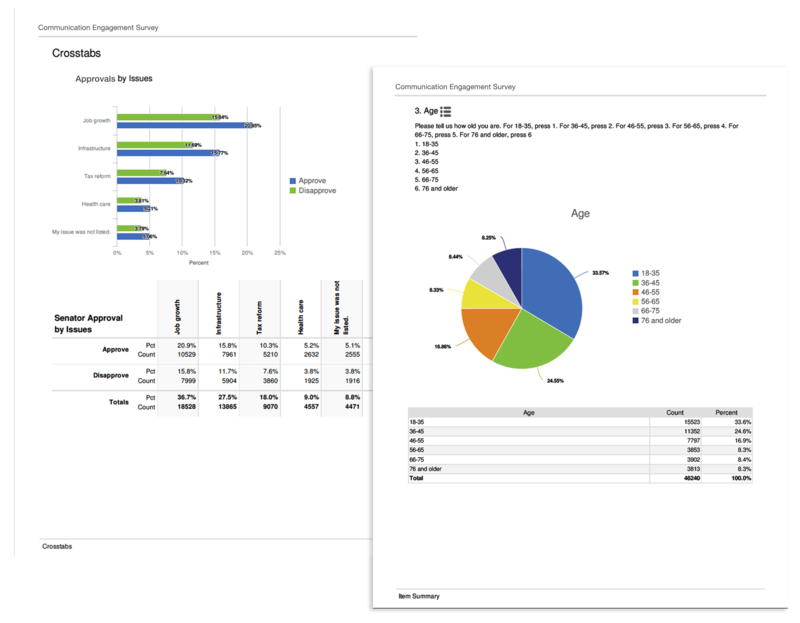 Advanced reporting helps you visualize responses. Reports include weighting, crosstabs, margin of error, flexible graphs and charts, and raw data export. Filter results by completed or partial response. Plus, you can generate branded PDF reports. Drag and drop editor that allows you to quickly design, edit, and duplicate surveys. Select from a variety of question formats – multiple choice, multiple digit, numeric range, and verbal response. Eliminate ordering bias by randomizing questions and/or responses. Route a question or transfer out to another phone number based on a participant’s response. Demographic variables that are identified in the data sample to be used for quotas, framing, routing, weighting, and crosstabs. Pause, terminate, continue, or exclude records when a goal is met. Create frames (groups of records to dial) that can be used to control costs, as well as determining dialing order based on demographics from your data sample. Visualize responses with weighting, crosstabs, margin of error, flexible graphs and charts, raw data export. Ready to start surveying your audience? Contact us today.